I remember my first encounter with Nails Inc in 2011 at their Australian launch. The impressive colour range and great formula left me wanting to see more but alas, it wasn’t available in Australia. So Nails Inc faded away from my radar then, much to my surprise, I rediscovered the brand in Sydney airport minutes before we boarded for our plane. It had new packaging, new colours and some intriguing ranges. The advertising banners made it sound like a dream of a polish “…breakthrough formula! ..revolutionary oxygen resin complex! 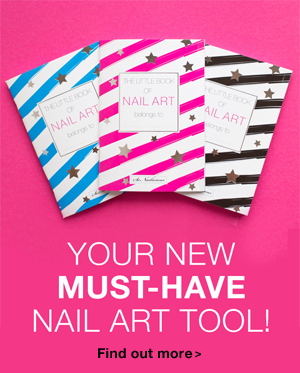 …high shine finish!” – as a nail polish addict and anti-toxin enthusiast, how could I possibly pass? The 6-free formula promise sounded too good to miss. Now, is it really that good? 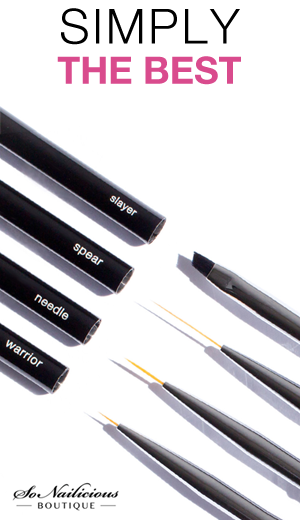 Formula: The formula is good, relatively fast drying and highly pigmented. 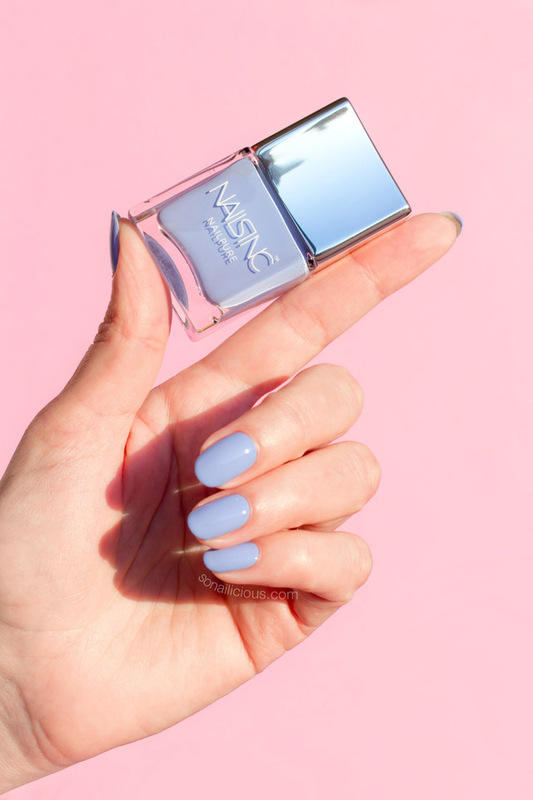 You’ll get fully opaque coverage in just 2 thin coats, which is fantastic for a light blue polish. 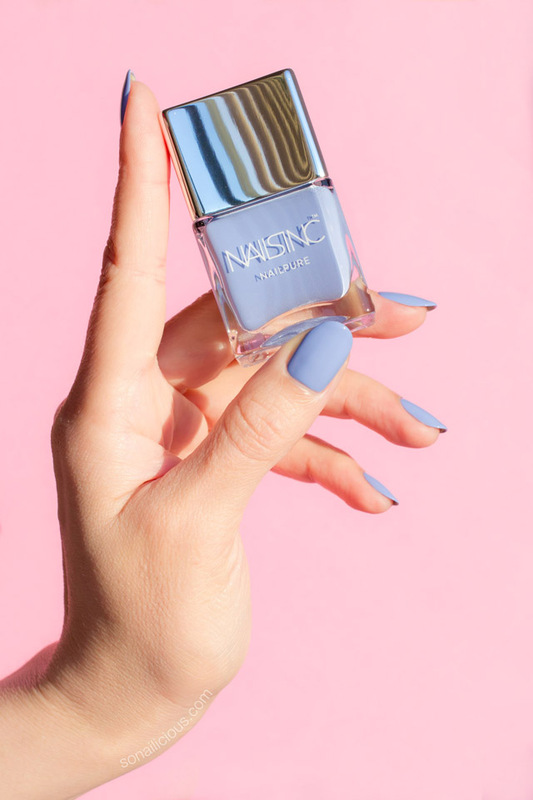 The manufacturers also say that the formula is alcohol free and is enriched with Nails inc’s patented Regenerating Complex that boosts the production of keratin for stronger and healthier nails. I can’t really comment whether it had any effect on my nails yet as I’ve been only wearing it for 5 days. But I certainly like the idea of a nail strengthening nail polish. Regarding the 6 free formula of the NailPure range, Nails Inc explains it as “it does not contain Phthalates including DBP, Toluene, Formaldehyde, Formaldehyde resin, Animal derivatives, Camphor”. So technically it’s 5-free and vegan. Application: It’s relatively easy to apply but the formula is on a thicker side. So you end up with way too much nail polish on a brush when you take it out of the bottle. Even if you wipe off the excess polish from the brush it tend to flood the nail easily. 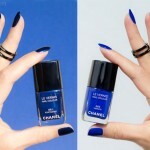 The brush is great, – wide and rounded, it’s very similar to those in Dior polishes. 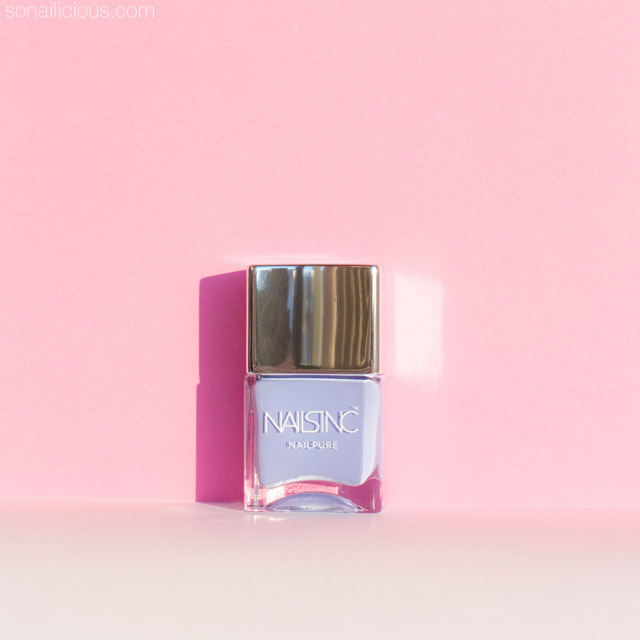 Finish/Colour: Nails Inc Regents Place is a vivid cornflower blue. It’s a classic creme polish. Not quite “high shine finish”, as advertised, but rather moderately glossy. 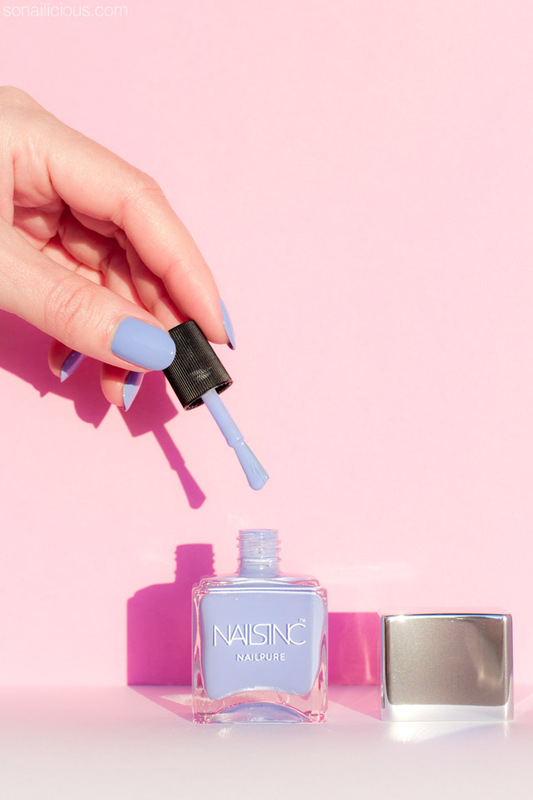 So you’d definitely need a layer or two of a top coat to get the glossy salon-like look. 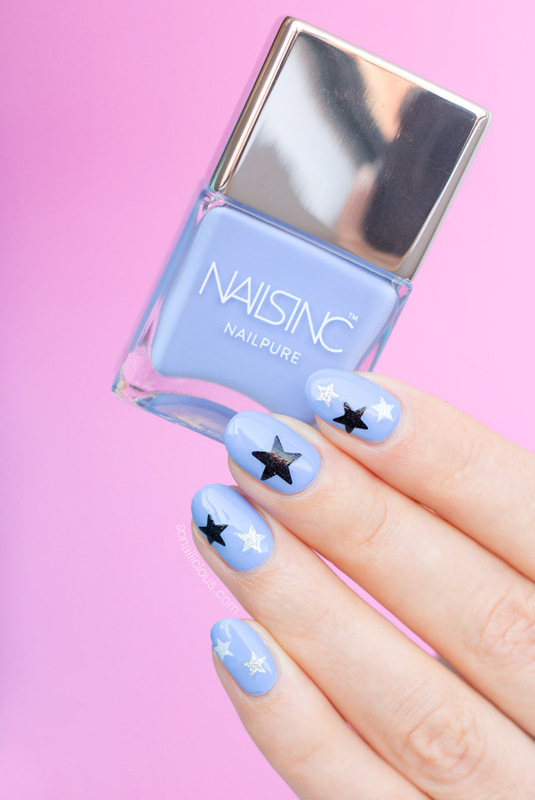 Nail Art: This polish is quite easy to work with and great for any kind of nail art. Dupes: There are no dupes! Surprisingly I didn’t find anything even remotely reminding Nails Inc Regents Place in my extensive blue polish collection. The closest colour is Essie Saltwater Happy, the same shade of blue but much lighter. Wearability: Long lasting, 5 days with a top coat. Extra Notes: The packaging is stunning! Overall Impression: It’s a good quality product with beautiful packaging and statement colours. However, personally I don’t like it when brands promise more than they deliver. 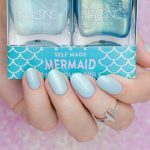 NailPure polishes are 5-free not 6-free as advertised. Still, they are 5-free, which is better than just 3-free so if you’re looking for an unusual nail colour and you’re anti-toxin, certainly try some NailPure. If you like blues – Regents Place is beautiful. 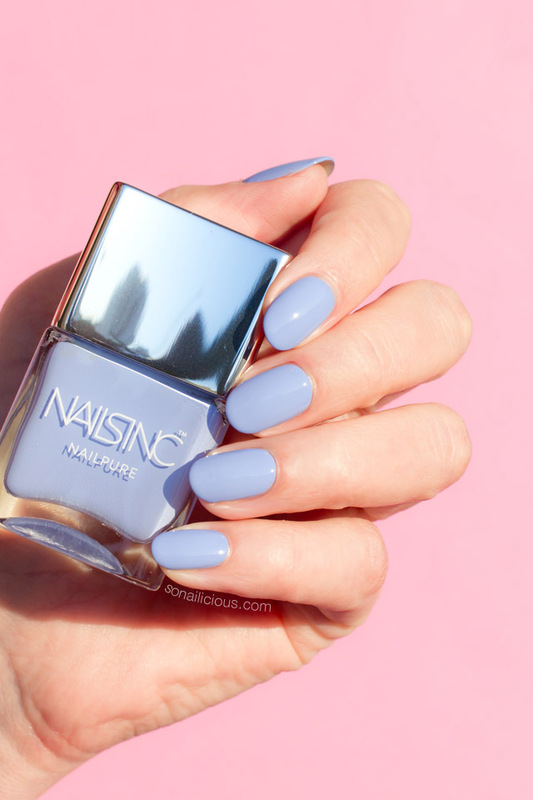 Availability: Nails Inc ‘NailPure’ Regents Place US $14 here or here, £14.00 here, in Australia – AUS $18.86 here (same colour, Gel Effect range). Nail art: using black, silver & white glitter star stickers. 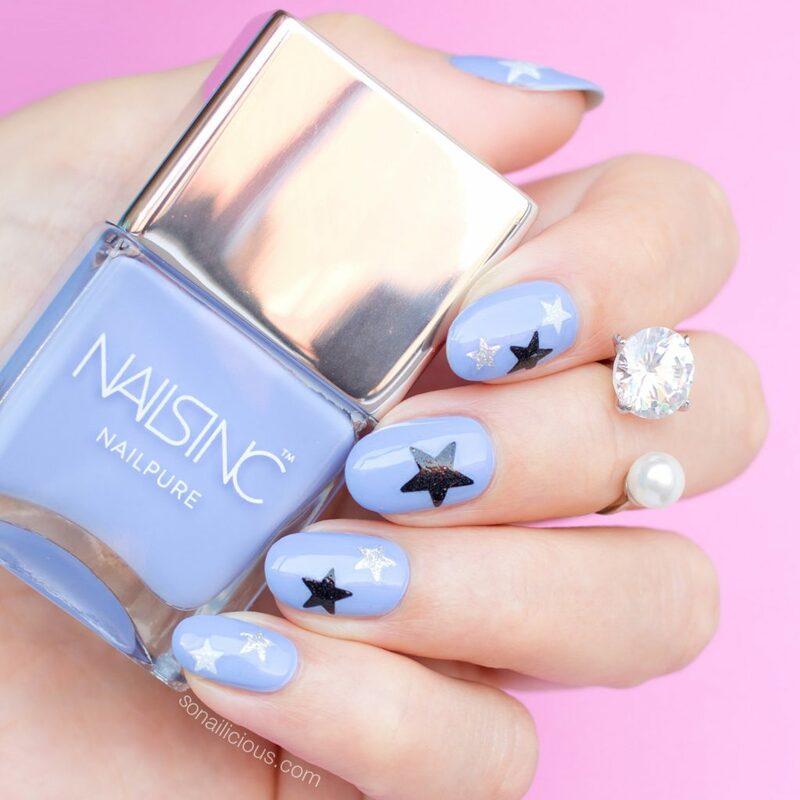 So what do you think about Nails Inc Regents Place? 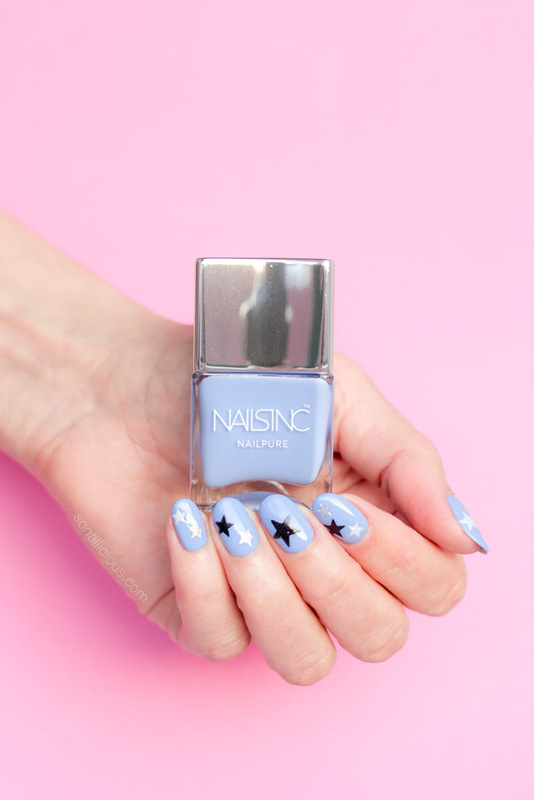 Have you tried NailPure polishes before – what’s your experience was like? Chanel Vibrato and Fortissimo: Must Haves… or Not?